cute! love the owl, especially. Thank you for the tutorials, the owl and the toadstool are my favorite. How cute! Oh I love the Owl too (seems to be the trend). I'm loving your post! It's perfect for my kids room. Thanks for the wonderful tutorial! The owl shall live here in my house shortly! I hope you are OK with me posting your garland in my list of awesome Vday projects... I saw it on EcoTot I think... passing on the blog looooove... had mucho fun making it! Cute! I love the owl! Thanks for sharing! I love the toadstool. 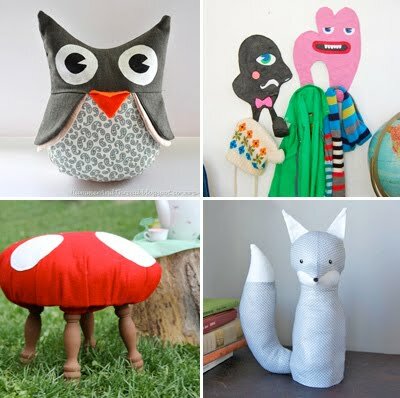 I really like the mushroom stool. Its very cute and it makes me think of Alice in Wonderland. !